Silage can be made as a fermented feed source from annual crops such as: millet, corn, oats, occasionally wheat and canola, sorghum and barley. The chopped crop is packed into a pit and packed down so that any oxygen pockets will be eliminated. Silage relates more to annual crops and not to perennial forages. 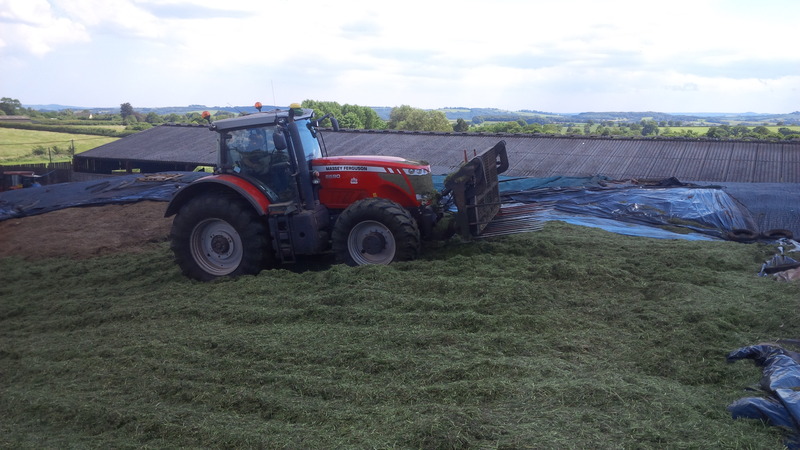 Timing is crucial and you have to know when is the right time to start silaging so the crop will be cut at the right stage in order to get the best feed quality. 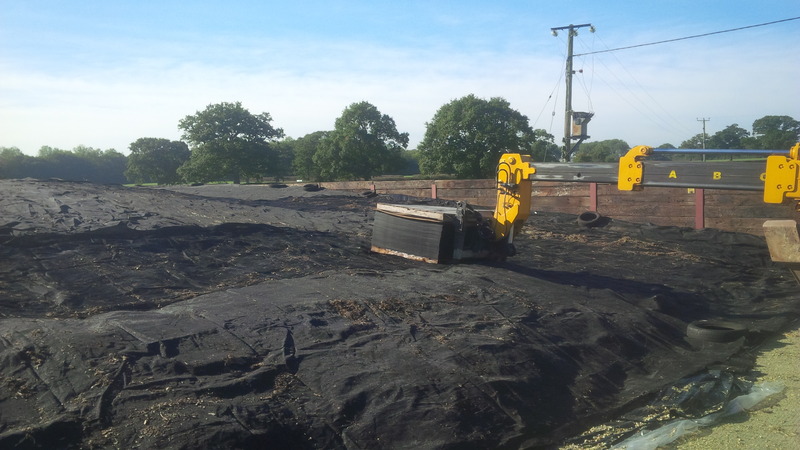 The pit needs to be covered as soon as the loads come in so that the losses will be able to be avoided. The best time to cut a cereal crop is when they reach a soft-dough state. The plant should be green with a yellowish tinge on the head of the plant. You can test the crop stage by pressing a random kernel between your fingers; the result should be a white soft paste-like substance. The crop isn`t ready if the substance is more liquid. In order to cut the crops you will need a swather, not a hay mower, because it will not shred the seeds off the crop. For about half a day before harvesting you will have to allow the swaths to wilt down because the forage needs to be dried down to 60%-70% moisture before chopping the silage. 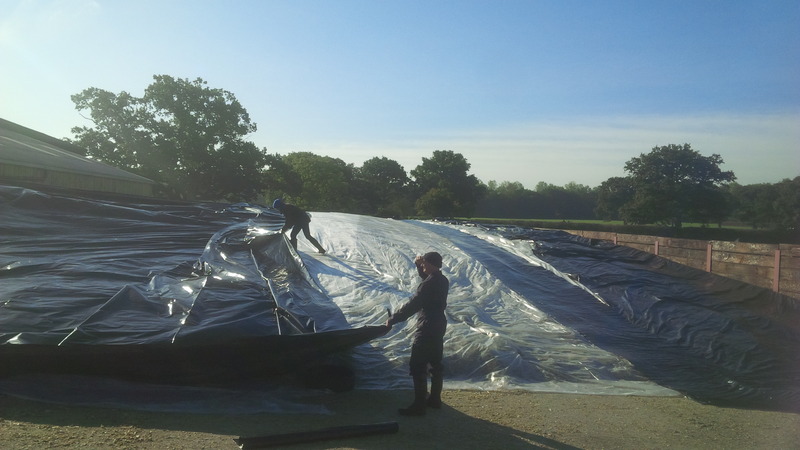 Silage can be put at higher moisture but seepage will be an issue and the low temperature fermentation activity might provide a suitable environment for undesirable clostridial bacteria – this may cause maladies like listerosis and botulism. The machines that are used to chop the swathed forage are called “forage harvesters”, and they can “spit” out the feed quite a distance. The blades of the machine will need to be set at the right setting so it will cut at the right length. 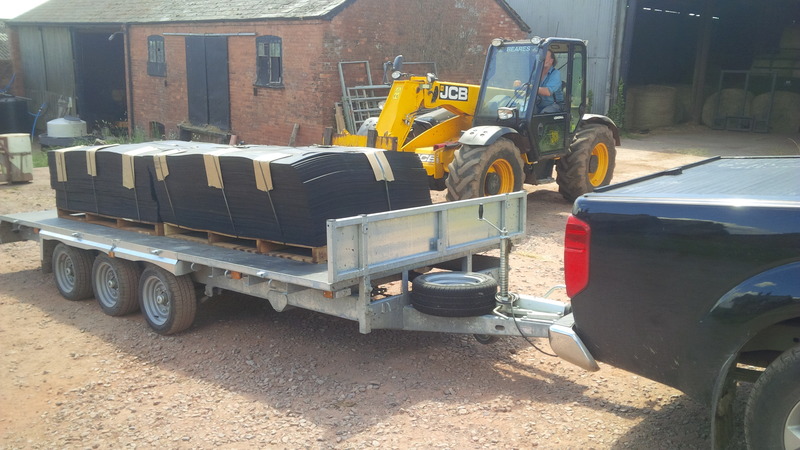 To collect silage from the forage harvester, will be used a tractor with a silage wagon or a large unit wich is designed for collecting silage and is called “Jiffy Wagon”. The “Jiffy wagon” is used to collect the freshly cut forage and acts as a storage compartment for the forage harvester. When the truck is full, the unit will be taken to the designated pit to drop off the load. The load have to be placed as close to each other as possible. The first several loads must be placed where the pile is going to be. 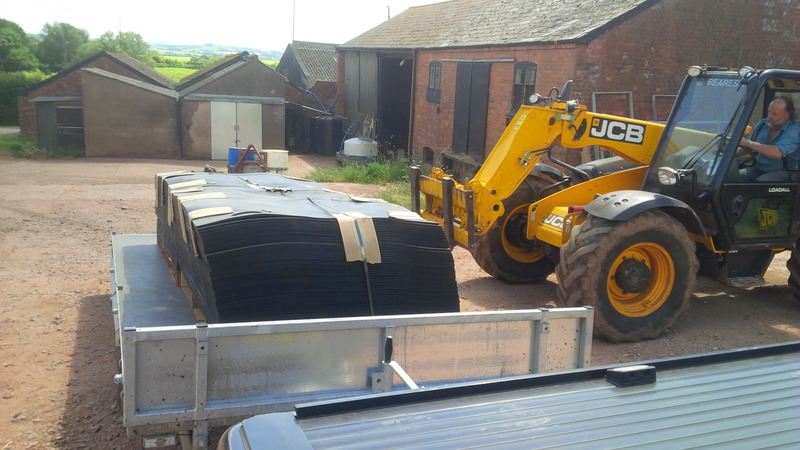 The silage pile will be packed very well after each harvesting day. Packing helps the fermentation activity and will discourage spoilage. The sialge has to be packed down very well so there will be no oxygen pockets remaining. Oxygen pockets spoil feed so that aerobic bacteria will turn into a brown-black mess. It often smells like tobacco or burnt caramel. Instead of fermenting the feed, it will decompos it into a manure. 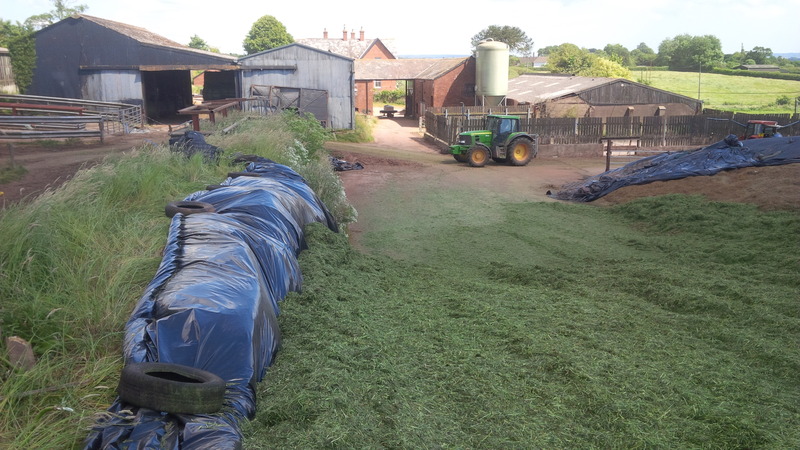 Silage piles have to be longer and wider than they are tall. A rule of thumb is larger at the base than the top: 12 to 15 feet/3,7m to 4,6m wide at the top. Will prevent roll-overs from the machine. 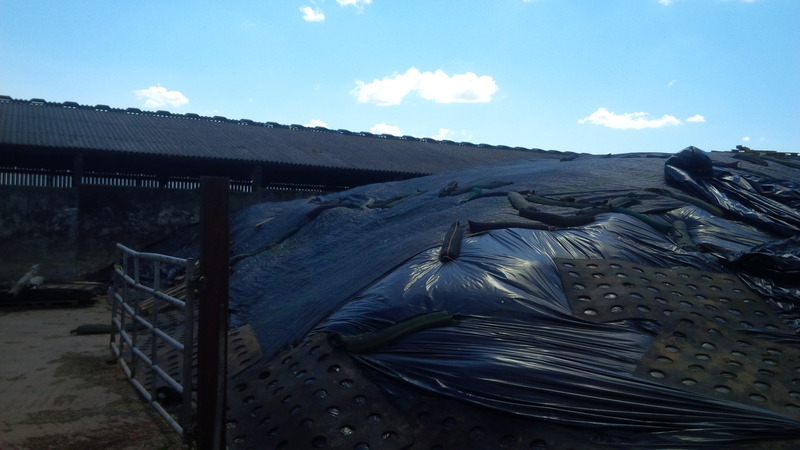 Silage piles should be 12 to 15 feet/3,7m to 4,6m tall – farm safety reasons. When you try to sink your fingers into the pile, if you get in so far as your second knuckles of your first three fingers, you will know that the pile has been packed very well and also it has potential for being good feed. 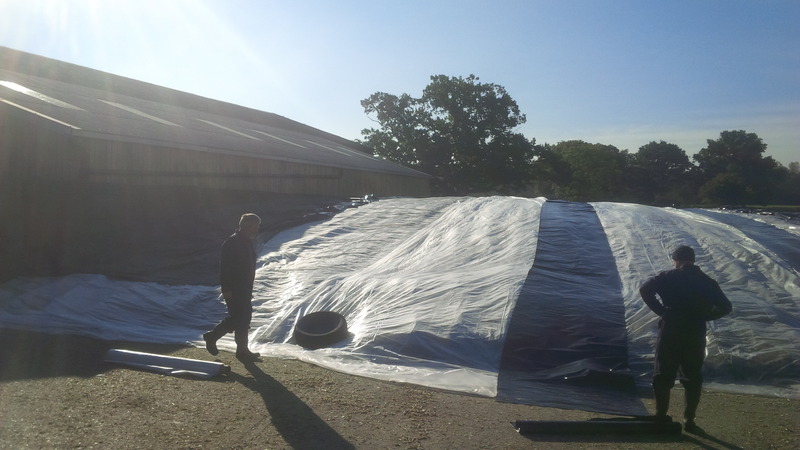 The pile has to be covered immediately with the proper plastic recommended for covering the silage. It is often recommended and used polyethylene plastic, it may be black on both sides or white on one side and black on the other. Plastic has to be weighed down very well and in order to do that, old or recycled tires will be used. Old tires are the best solution because they are much gentler on the plastic and will not cause punctures – they are a serious danger of feed spoilage. 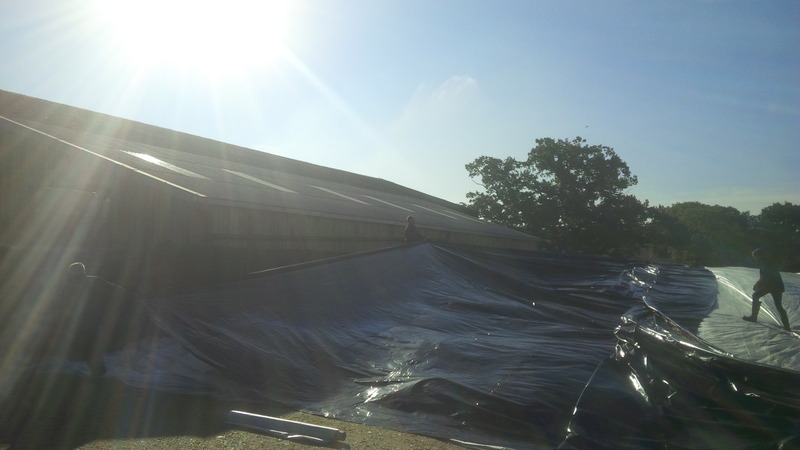 All sides and parts of the pile have to be covered and held down very well to ensure properly ensiles and minimize spoilage. 1. Two weeks have to pass before feeding because this will give the feed enough time to ferment and pickle. It will develop a fermented smell that is asociated to silaged feeds. You can wait longer than 2 weeks but not lesser. 2. Take as much of the face as you need to feed but it may take practice to understand how much to scrape down and gather. - Harvest and cut when the weather is favourable. - Part of the cut will be done in the morning, harvesting will begin in the afternoon. Cut only as much as you need for a few hours depending on day temperatures and humidity. - If you cut all the crops in one day this will create conditions for the crop to be drier than what is best for a silage. 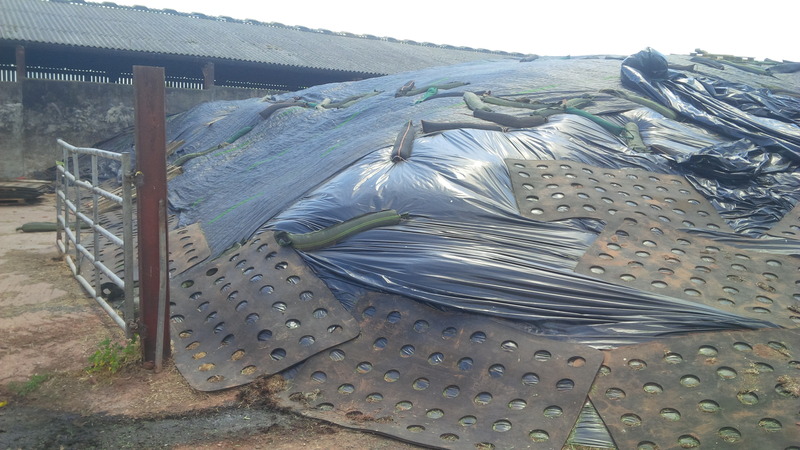 - In the winter-time, when feeding silage, a lot of steam will come from the hot feed. The pile will not freeze during winter. 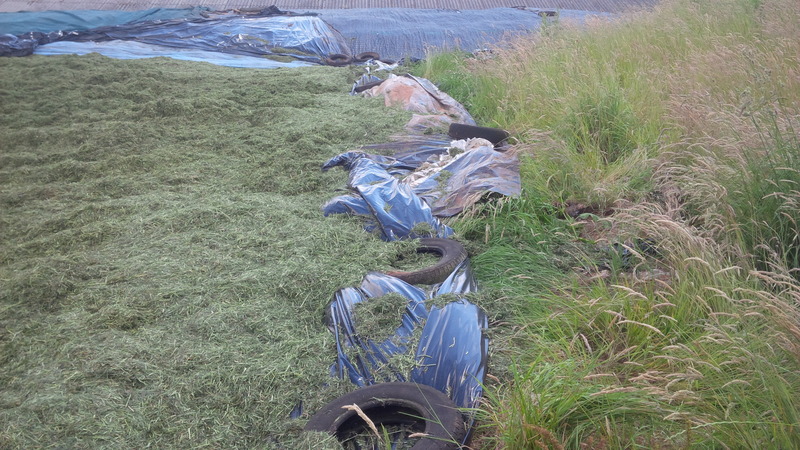 - Moldy silage is bad for horses so if you find excessive mold in silage, do not feed it to the horses.